HID Fargo ID Badge Printers - Bender Associates, Inc. HID Fargo ID Badge Printers are backed by Bender Associates. We are a full service provider for all HID Fargo ID Badge Printers including the Professional Series and Professional Select Series. HID Fargo C50 ID Card Printer is for entry-level applications with low volume print production. Ideal for small businesses or applications that don't require a high level of security. Available in a bundle with everything you need to get started. The predecessor to the C30e, the DTC1250e is user friendly and economical. Field upgradeable to magnetic stripe and a small footprint, the DTC1250e is ideal for small to medium sized businesses. Also available with dual-sided printing. New to the family of direct to card printers, the Fargo DTC1500 ID Card Printer is not your typical newbie. Built on 20 years of printing expertise, the DTC1500 offers the lowest cost for high yield print ribbons. 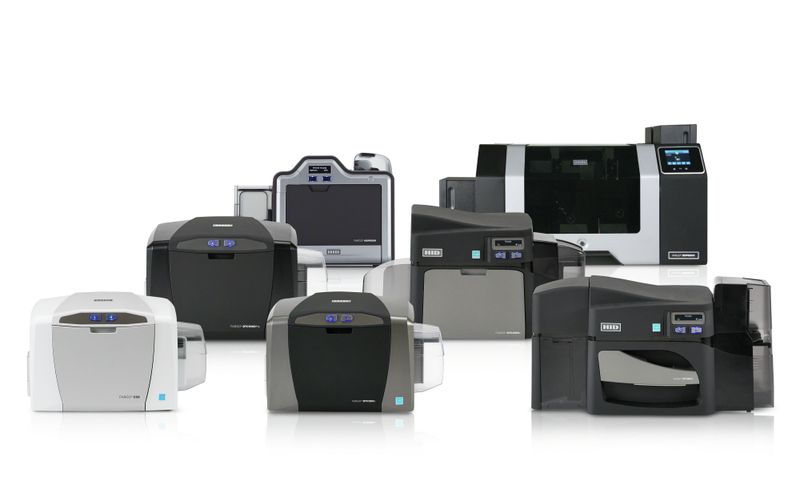 With its modular design, the DTC1500 can be field upgradeable to dual-sided printing, WiFi, and lamination. One of our most popular printers, the DTC4250e printer is reliable and versatile. The DTC4250e can be field upgraded to magnetic stripe encoding, dual-sided printing and Wi-Fi. Equipped with a 3 year warranty, this worry free printer can grow with your business. The DTC4500e high capacity plastic card printer is for high volume, high secure applications. With its optional lamination feature, ID cards can be highly secure with a custom holographic laminate. The DTC4500e comes standard with a 200-card input hopper for high efficiency card production. With wasteless lamination and DTC printing, the DTC5500LMX is a low cost per card ID Card Printer. Built like a tank, the DTC5500LMX by HID Fargo is ideal for high demand, highly secure applications. This robust card printer is equipped standard with dual-sided printing and dual-sided lamination. Print true edge to edge with the Fargo HDP5000 retransfer printer. This modular printer can be easily upgraded to dual-sided printing and lamination. The HDP5000 produces superior quality, high durable ID Cards. Fargo HDP5000 retransfer printer and laminator adds durability and security to your ID badges. Clear, holographic, or custom laminates available. The latest and greatest in retransfer printers, the Fargo HDP5600 will not dissapoint. The HDP5600 is a 5th generation retransfer printer that offers sharp and vibrant color printing. With an optional 600 dpi printhead, complex characters like Arabic and Cyrillic are clearly defined and easy to read. Add longevity and security with the Fargo HDP5600 Printer & Laminator. Available in single or dual-sided lamination. The HDP8500 ID Card Printer is part of Fargo's industrial class of printers. Built to last, the HDP8500 is ideal for high throughput ID card production such as some government applications and card service bureau. 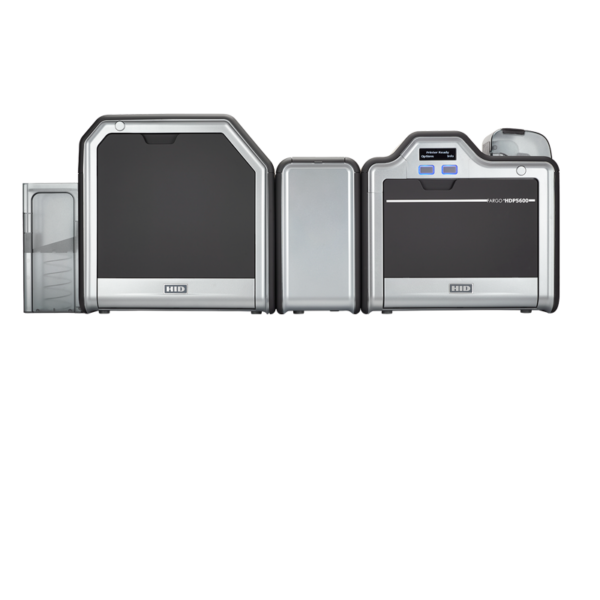 The HDP8500 offers the very highest in security with its optional laser engraver.